We are excited to soon be welcoming another Valley hotel into the mix, thanks to the opening of Aloft Hotel slated for summer 2018. 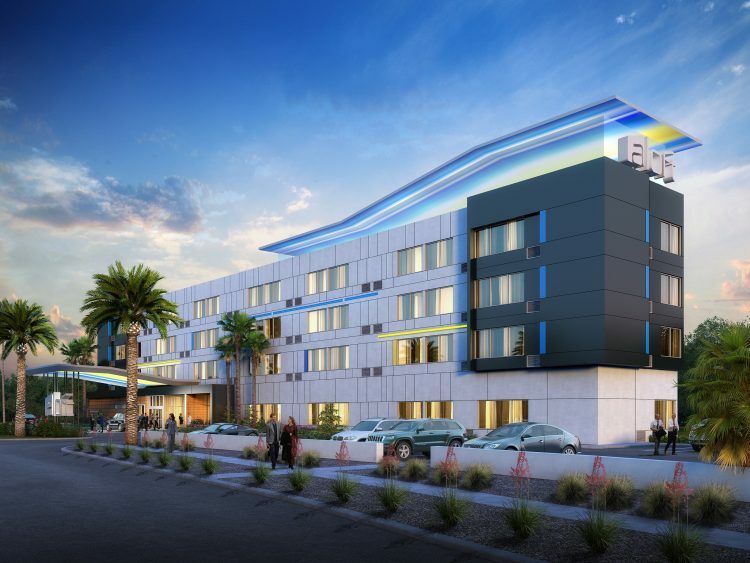 This 100-room Glendale hotel will be located right next to the Westgate Entertainment District, which, as you know, is loaded with fun, games, shopping, and entertainment of all kinds including AMC Theatres and Dave & Busters. The hotel’s location also puts it near the Gila River Arena, as well as the University of Phoenix Stadium, so guests will have the perfect opportunity to check out an Arizona Coyotes game or a famous Arizona Cardinals showdown. And if you’re among the millions of people who love outlet shopping, you’ll love that Aloft Hotel is close to Tangier Outlet mall where all your shopping dreams will come true. As the opening dates approaches, we’ll be sharing more information about the hotel here. Be sure to check back soon for details, and in the meantime, visit here to read more about the property and its plans.